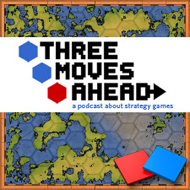 Jenn Cutter and Dan Stapleton return to 3MA to talk about Paradox Con with Rob. They discuss War of the Roses, Gettysburg: Armored Warfare, Arctic Circle, Salem, and Napoleon’s Campaigns 2, as well as some prominent no-shows. Man, you guys totally threw netbooks and Serbia under the bus! Warlock Master of the Arcane is the one I am most excited about. Elven Legacy was too linear and puzzle oriented for me, this one looks more my style! This no private servers stuff is really only a money grab. You don’t need a server to host a game, a standard gaming desktop and a good net connection is more than sufficient. The only reason they are considering renting out servers and not allowing anyone to host their own is so they can charge money for the privilege. There is no good reason and the performance issue is a total smoke screen. Shame on Paradox for even contemplating this. Surely Alucart is a pun on a la carte? And yes, Alucard was made up by the Castlevania people. War of The Roses looks spiffing, Salem appears to have some pretty godawful graphics, even if the concept is great.